SPECIAL! 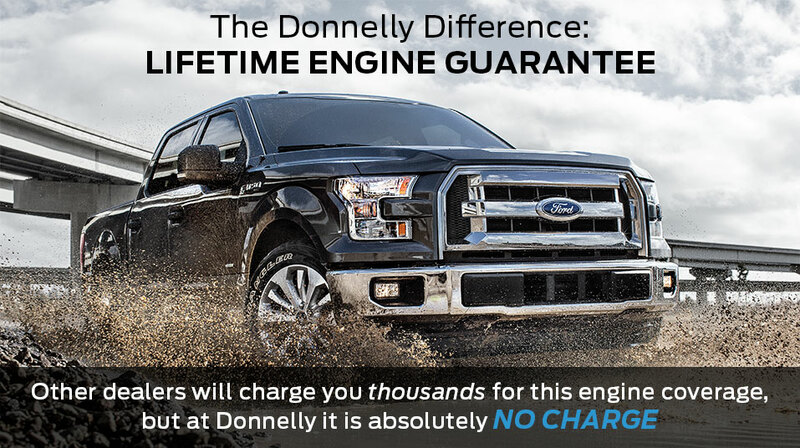 Get $500 on your Donnelly Card with the purchase of a new or used F-150. Buying a full-size pickup? Here are some hard facts to think about: The F-150 can tow an impressive 11,300 lbs. (5,125 kg) trailer and haul more cargo [3,120 lbs. (1,415 kg)] than any of its competitors. The F-150 has a fully boxed frame that’s the foundation of all this great capability. And it’s engineered and tested to withstand more punishment than you could ever subject it to. The F-150 is Built Ford Tough® to come through with the capability you expect in this full-size pickup from Ford, day in and day out.